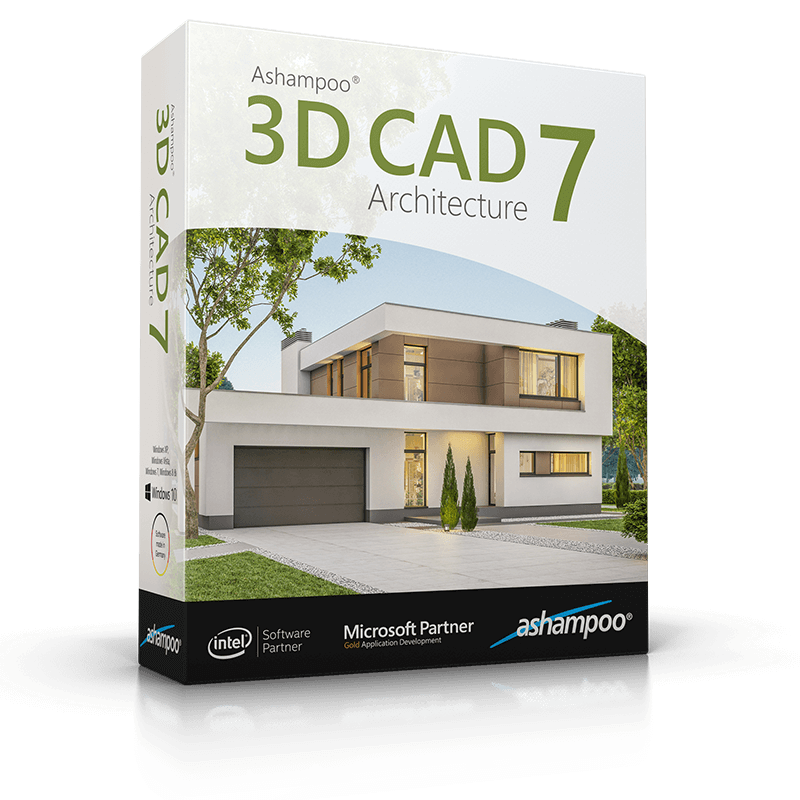 Ashampoo 3D CAD Architecture 7 is home design and 3D construction software for Windows PCs. Step by step, users create, furnish and inspect realistic 3D building and home designs. Ashampoo 3D CAD Architecture can turn even vague plans into real projects. A step-by-step wizard helps users achieve first results easily. The integrated project wizard guides them through all the necessary basic settings and the thematically structured user interface helps beginners settle in quickly. Whether you're planning on building a house or just need to redecorate - you can now view the finished project in advance. The program comes with all the necessary tools to draw up floor and construction plans with detailed 2D and 3D views. A comprehensive object catalog allows users to furnish their rooms individually. The program imports SketchUp and Collada objects giving users access to millions of new objects. Version 7 now supports parameterized and free 2D lines for more individualism and precision. Customizable visibility presets and edge snapping allow for better structured work flows and provide improved visual clarity. The ability to copy windows and doors between walls or copy and move dormers are significant time savers. Also, staircase parts are now individually toggleable and cutting depths for section views adjustable to provide the utmost degree of versatility for complex constructions. In addition, about 100 new textures provide more variety and visual realism than any previous Ashampoo home design and 3D construction software to enable extensive planning down to the last detail.